Focus on toys that will teach your children something new, broaden their horizons about who they become and give them the lasting gift of sparking their imagination and teaching them new ways to think about the world. Many parents have seen the GoldieBlox ad with its feel-good message, followed by disappointing news about the questionable legality of the song use and disappointment in the toy itself. Many parents have been asked to buy a doll with a large bust wearing a mini-skirt or a large plastic contraption. But, this holiday season it's OK to just say no to the toys that are all hype and will wind up at the bottom of the toy heap in record time, the toys that promote unflattering images of girls and the toys that will break after only a few uses. Instead, focus on toys that will teach your children something new, broaden their horizons about who they become and give them the lasting gift of sparking their imagination and teaching them new ways to think about the world. Going to a locally-owned toy store with a knowledgeable staff can help you get beyond the ads and trends and aisles (or pages) of similar-looking toys to find the best ones for your child. The gift of a book can open up a whole new world to a child. 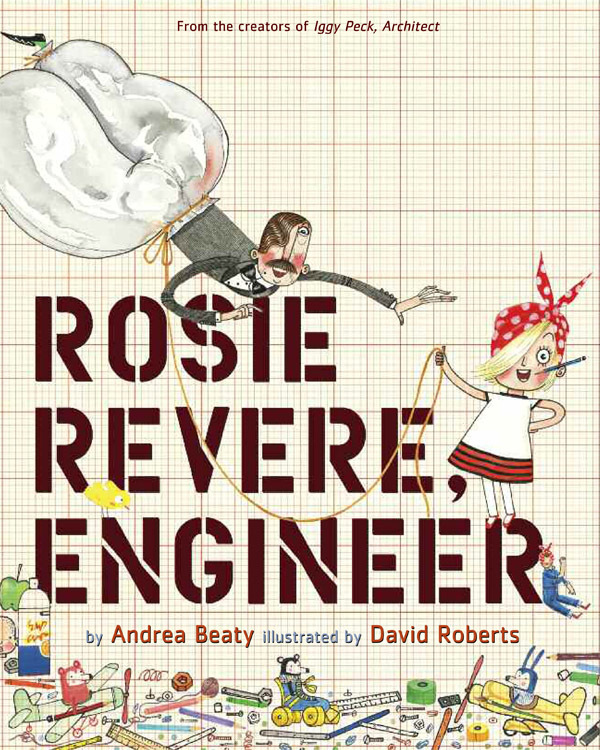 One of this year's best options for early-elementary-aged children is Rosie Revere, Engineer, a beautifully illustrated book in which a young girl discovers she has the great ability to invent all kinds of contraptions, including a flying machine. Older children would enjoy any one of the Diary of a Wimpy Kid boxed sets or they can be introduced to The Origami Yoda Files chronicling the adventures of a misfit student at McQuarrie Middle School who folds an origami Yoda who offers sage advice. Books for babies and toddlers should be fun and colorful. Pantone Color Puzzles teach shapes and simple puzzles while teaching colors and Alphablock is a gorgeous book that teaches letters' sound with cut-out letter shapes and lovely illustrations of words that begin with every letter in the alphabet. 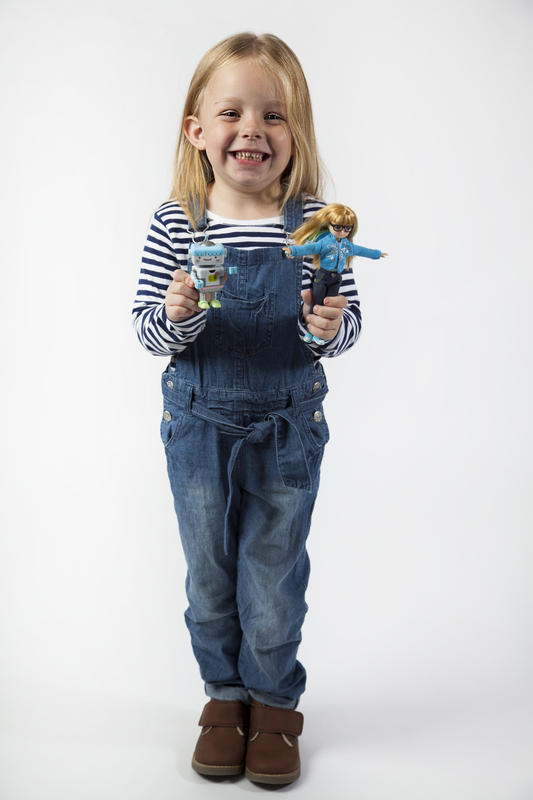 Lottie Dolls promote a positive image of women and show that girls can do anything from being a black belt in karate to a robot builder -- all without the need for make-up, high heels or unrealistic body proportions and stiff joints. Many of the dolls are based on women from history, teaching the girls (and boys!) who play with them that it's not so far-fetched for there to be a real-life pirate queen. All of the dolls have accessory packs that can be used to expand play possibilities. The best way to get children interested in Science, Technology, Engineering and Math (STEM) is to get them hands-on building experience. Magna-Tiles are, as the name says, magnetic tiles in a variety of shapes and colors that can be configured nearly any which way to become a doll house, a superhero hideout, a tower that goes up to the ceiling, or a slide for dolls. Magna-Tiles never get boring since they can be re-used over and over again to build nearly any structure you can think of. A great way to get your child's imagination going is by using Rory's StoryCubes. Roll any number of the nine die that come in a pack to come up with a combination of simple pictures you or your child weave into a story. One person can be assigned to tell a story from the beginning up through "the end" or every member of the family can collaborate by taking turns incorporating a new picture into the storyline. This is also a great toy for car and plane rides since it's small enough to fit into a purse but has endless possibilities for creating new stories. Art projects are always a great way to get the creative juices flowing. Many art-themed toys beyond basic crayons and paint direct children about what they should create. Creativity Cans, however, give children some raw materials ranging from feathers, to googly eyes, to Styrofoam eggs, to buttons, and let them use their imaginations to create whatever they like from materials they may not have encountered together before. Large cans stuffed full of goodies mean that children can create multiple works of art from one can -- and even the can itself can be incorporated into your child's masterpiece.